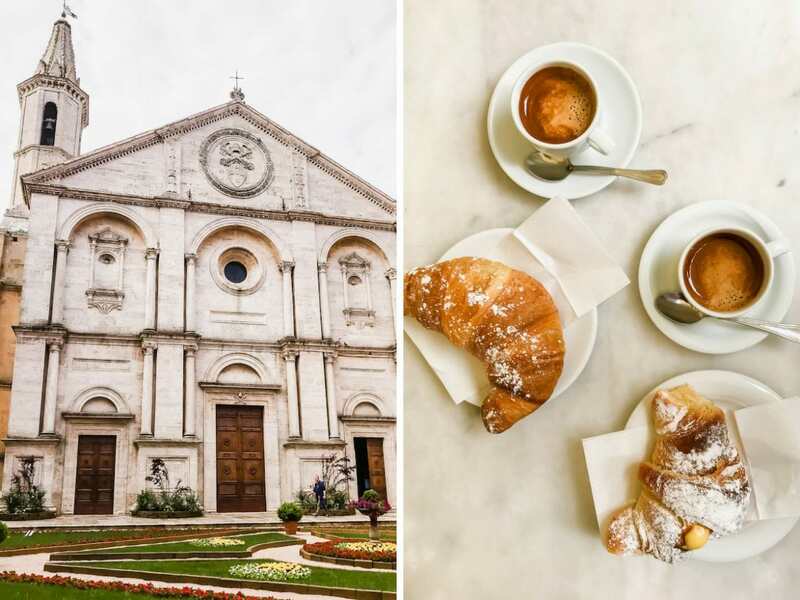 Planning a trip to Italy or have it on your bucket list? You are sure to find TONS of helpful planning information in this tell-all post about how to plan THE BEST road trip in Tuscany! 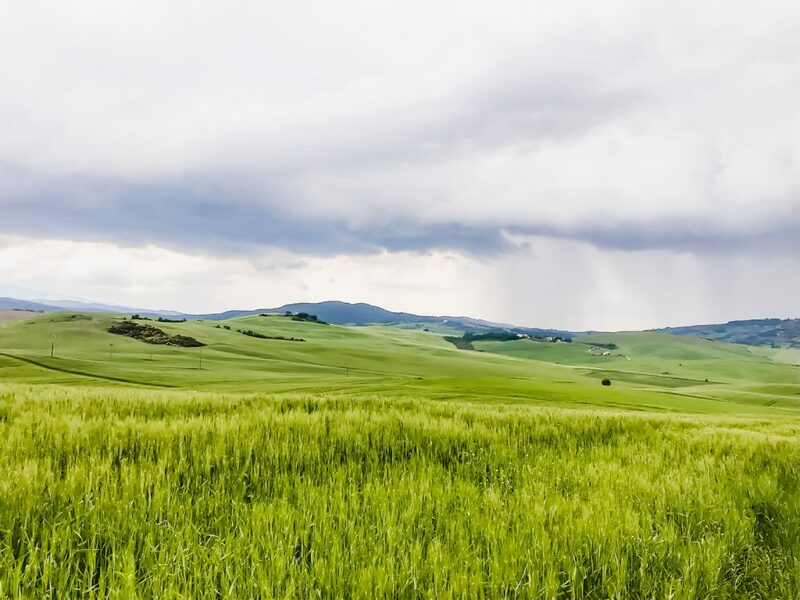 My Tuscany Driving Itinerary has options for five and ten days of travel, and will help you see the beautiful highlights of the Tuscan countryside. Decide on whether you will get an international driving permit – the U.S. Embassy states that Americans driving in Italy should obtain an International Driving Permit to use along with their U.S. drivers license when driving in Italy. This is something you should take care of months before your trip! Book your rental car online while in the states – we found the best rental car deal for our needs at Hertz, but I would definitely shop around. We used Google maps to find a pickup and drop off location at airports in cities where we knew we could use public transportation once we returned the car. I’d highly recommend taking care of this online before you go, for several reasons. First, it helps you know how to budget for the rest of your trip. Second, you never know if rental availability is guaranteed when you book at the last minute. And third, you are traveling to a foreign country, and being as prepared as possible will pay off in the end! Prepare to wait at the rental office – you may already know this, but customer service in Italy is minimal to non-existent. It is not uncommon for whoever is helping you to take a personal call, leave for a bathroom or coffee break, or just take their precious time. We waited over an hour to get to the front of the rental desk with only 3 customers in front of us, then an additional hour to get the car. When in Roma! Get the Wifi add-on for your car – this is absolutely necessary if you want to use your phone for GPS or communicate without an international data plan (which can be VERY expensive). It’s typically just an extra 10-15 euro per day, and well worth it. We had a backup offline Google map of our driving area downloaded just in case the Wifi did not work, and because you should never take a chance on being able to get good directions from someone in a foreign country! When we went on our Tuscan countryside road trip, we were lucky enough to be traveling with American friends who had been living in Germany and traveling through Europe for almost 2 years. Although Ryan and I made it through driving a 3-hour leg of the trip on our own the first day, our friends were extremely helpful in helping us to interpret signs and know where we could park in the small villages we visited. Getting from the Rome airport to the Tuscan countryside really was not bad at all, and driving through the Val D’Orcia region of Tuscany was rather simple with the Wifi and phone GPS. HOWEVER, driving in an Italian city, like Florence for example, is an entirely different story. If you want to have a relaxing vacation, I’d avoid driving in an Italian city at all. Driving in Italian cities is pure chaos. Stick to the countryside! Our goal was to get off the beaten path and visit less-touristy areas, seeing smaller villages and avoiding the main tourist hubs. When you visit Tuscany, I think it’s best appreciated if you approach it with a slower pace of travel. 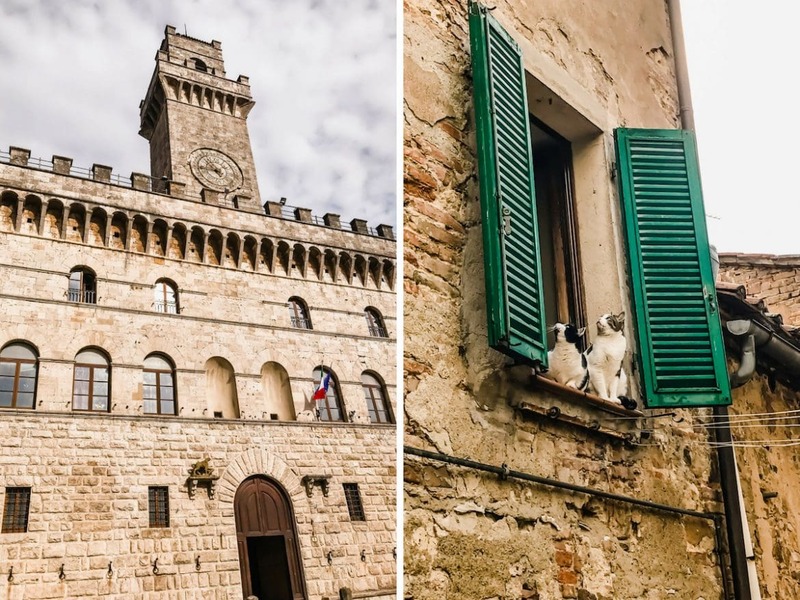 There are so many quaint details about Tuscan villages that you will miss if you are in a hurry and just want to check a bunch of highlight sites off of your list! Plan to take time to linger, people watch, and wander down streets just for the fun of it! If this is the type of trip you want to take, I would avoid visiting Florence, Lucca, Pisa, and San Gimignano when driving. These are great places to visit by train on day trips with Florence as your central location. 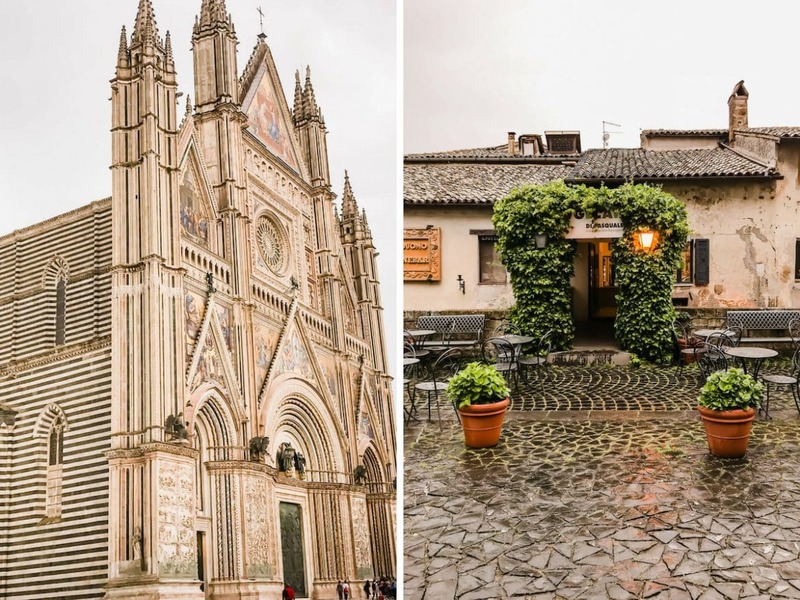 While Orvieto isn’t exactly in Tuscany (it’s on the outskirts of the Lazio region), it’s oh-so-close. The charming hilltop village is home to stunning views, a beautiful cathedral, and the best pasta dish I’ve eaten in my entire life! You are sure to find peace, quiet, and quaint charm on every street here! Dinner at Trattoria del Moro Aronne – I’ve tried three of the fresh pasta dishes here and they were THE MOST DELICIOUS pasta I’ve ever had! This restaurant is on the Michelin Guide, and I’ve left room in the itinerary for you to eat there TWICE because it’s that good! Orvieto Underground – explore the tunnels and grottos of this underground city for unexpected experience in the hilltop town. 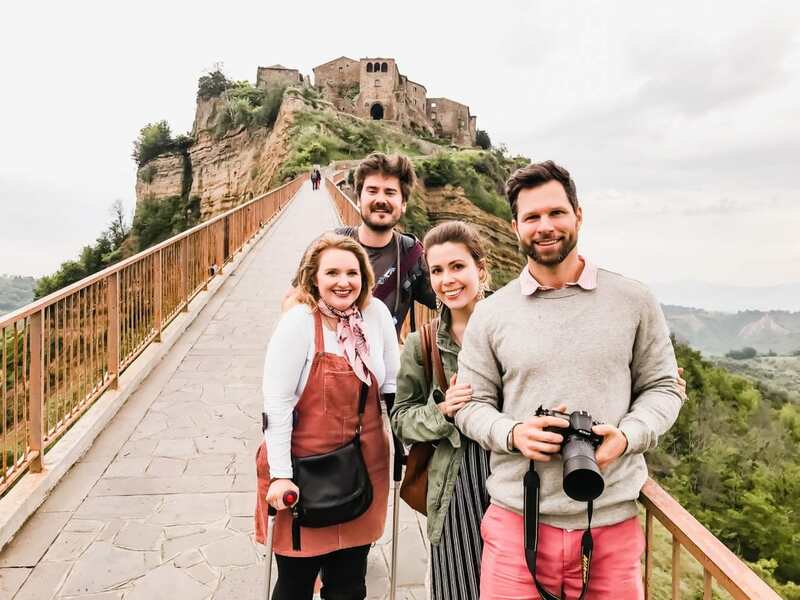 Climb the hill to Civita Di Bagnoregio – the 30-minute drive to this ancient hilltop city and then trek up the bridge to the top is an unforgettable experience! You won’t believe the views, ancient architecture, and history that is to be discovered here. Bagni San Filippo – this multi-leveled hot springs oasis is free to the public and is a fun way to relax on your road trip. It’s about halfway between Orvieto and your next stop on the itinerary. Bring towels, water-proof shoes, and a change of clothes, of course! If you’ve never been to natural hot springs, this is a great place to start. Although I will say, the sulfur smell is strong here! While it may seem difficult to find the exact entry point, this is a popular spot for locals, so you will likely see several cars along the side of the road and you will be able to hear/smell the springs! 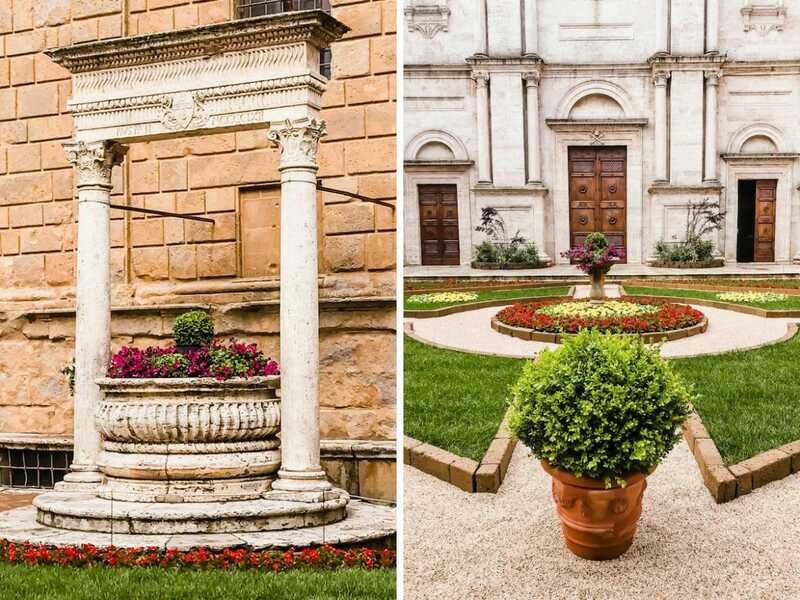 Montepulciano exploration, dinner – explore the quaint village of Montepulciano in the late afternoon/evening. There are several family owned restaurants and a winery here. Have fun spotting a variety of cats in windowsills, taking in the views, and winding your way up the narrow streets of this hilltop town. Stay at an agriturismo or Airbnb in Pienza – there are many farmhouses rentals – called agriturismos – situated between Montepulciano and Pienza. These are a lot like bed and breakfasts in America and offer a VIP look into what locals are growing and making. Most agriturismos are situated on vineyards and olive farms, so it’s not uncommon to take a tour and have a tasting during a stay! Drive to the quaint village of Pienza, sightsee, and enjoy a light breakfast at a cafe while you people watch! Winery tour at Poggio Rubino – this small-scale winery boasts amazing hospitality and delicious Brunello wines. It’s situated near Montalcino up in the Tuscan hills country. You’ll be treated to a tour – ours ended up being private – and then a generous tasting of local cheeses, salumi, bread, olive oil, and of course, wine, with options for lunch if you pre-reserve. This was my favorite winery tour in Italy! Exploration, dinner at Montalcino – another Tuscan hilltop village that’s worth a stroll through. You’ll find a lovely selection of Italian linens, olive oil soaps, olive wood kitchen items, and painted pottery throughout the shops here. Plan to have dinner at a local mom-and-pop trattoria, where you can also taste a great variety of wines from wineries around the town. Siena is quite a bit larger than the other villages mentioned in the itinerary and is a convenient place to return a rental car before taking a train back to Rome for your return flight or heading elsewhere. There is a rich history here, with the town being home to the famous Palio di Siena horse race. Plan to arrive as early as possible this day, so you have a full day to explore and take it all in! At this point, Day 6 is for your return flight home – I would take the earliest train to Rome and then have booked a return flight departing Rome in the late afternoon. OR you can travel to Florence by train for an extended trip! I’ve written pretty extensively about Florence now and all that there is to do there, so I’ve linked those related posts to the activities in the remainder of this itinerary! Mercato Centrale – amazing places to shop and eat all around here! 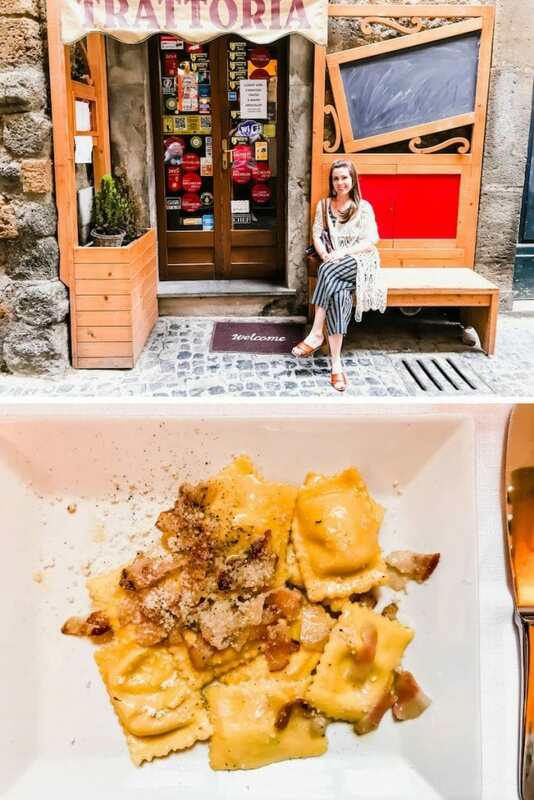 See why Walkabout Tours is my favorite activity in Florence in this post! Best of Italy – this full-day tour takes you to Siena, a Tuscan winery, Pisa, and San Giminagno. Loved going on this tour with my mom and highly recommend! Cinque Terre Trek – recommended this trip to my friend and her boyfriend; they had a blast! Cooking at a Tuscan Farmhouse – this was the first tour Ryan and I took with Walkabout tours and it was the highlight of our trip! 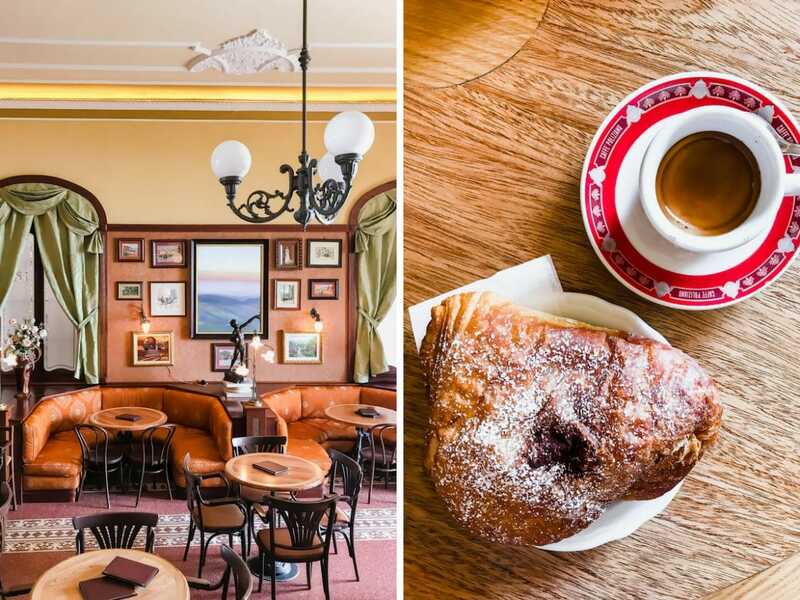 Florentine steak at Osteria dell’Enoteca – end your trip with an AMAZING Florentine steak dinner at this cozy and chic steakhouse near the Pitti Palace! For your return travel, I would recommend taking the earliest train from Florence to Roma Termini, then take the 30 minute Leonardo Express train from the Termini to the airport. Take a late afternoon/evening flight out of Rome to return home. And there you have it! I hope you’ve enjoyed this Tuscan Travel Itinerary and find it helpful with your own planning! Please do me a favor and SHARE with anyone you think may find it helpful as well! I’d love to hear about any Italian experiences you have or your plans in the comments below! If you’d like to know more about Italy, check out my extensive guide here with all of the places I have visited in the country!